Just how bad are the RB prospects in the NFL Draft? Perusing Draft Twitter every now and then I’m confronted with an overwhelming narrative about the 2019 rookie running back class: It stinks. The 2019 rookie running back rookie class has been panned pretty much all off-season. Being a numbers focused fantasy football player, (I’m assuming much like yourself if your reading this), I tried to think of a way to either confirm or dispel this narrative without just saying “some guy on twitter told me it was bad” in the absence of any advanced stats, metrics, or analytics player profiler information. Below, I contextualize this group of incoming running backs with the running backs that dynasty leaguers should pursue. Let’s talk weekly line-up setting strategy for a moment. Most traditional PPR formats require a player to start at least two running backs each week. Any player starting a running back in a flex spot is generally placing themselves at a massive disadvantage. Let’s assume you don’t want that. Let’s also assume you play in a 12 team league. This means that in an ideal world any running back finishing outside the top 24 in weekly scoring is riding the digital pine on your fantasy bench. Logically, it follows that when drafting running backs in dynasty rookie drafts your focus at the running back position should be finding players who look like top 24 running backs. Luckily for us, top 24 running backs were once prospects themselves. We know what their college production and athletic testing metrics looked like before they won us fantasy football championships. This means that if we analyze the prospect profiles of these running backs we could get a better idea of what threshold level production and metrics we are looking for that best correlates to top 24 running back production. To find these threshold numbers I went back into the deep vaults of Data Analysis at Player Profiler. I found the 83 running backs since 2013 to finish as top 24 running backs on a points per game basis each season. The only caveat being that you had to either start 4 games or play more than 8 to qualify. Is this an arbitrary caveat? Yes, it is. However, when you’re drafting a rookie running back your aspirations should be someone who at the very least sustains your roster for multiple weeks a la Tim Hightower circa 2015 as opposed to the one game Ameer Abdullah started in 2016 where he averaged a RB 21 finish in fantasy points per game, or the three games Edwin Baker played for the Browns in 2013 resulting in a RB 16 finish in fantasy points per game. Out of these 83 running backs I queried several important predictive metrics. 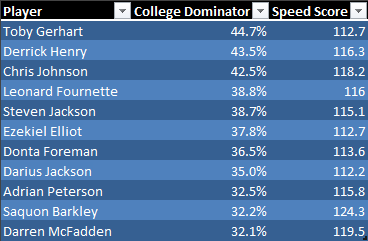 These metrics were: SPARQ-x Score, Speed Score, Agility Score, Burst Score, College Dominator Rating, and College Target Share. I then found the average result among each metric for the 83 running backs who finished among the top 24 in points per games, for each season, since 2013. An important side note, if a player did not have a score within the metric it did not count towards the average. These numbers are the thresholds figures we should be looking for running back prospects to either meet or exceed to consider them worthy of drafting. Certainly, any running back prospect that checks all these boxes should be considered an elite prospect. However, it is important to note that only one such back within the 83 backs sampled checked all 6 boxes of production. His name is David Johnson. As checking all the boxes is a rare feat I took the average of boxes checked among the 83 running backs sampled. This average was 2.7, meaning that if a running back is at least average when compared to the historical top 24, in 3 or more metrics, they have a better shot at finishing as a top 24 running back then a player that doesn’t meet that threshold. Now that we have what we are looking for let’s compare this data to the 2019 running back class. Of the 76 running backs in the 2019 incoming rookie class only 6 backs are above the average of the top 24 producers in 3 or more statistical categories. That is it. That’s gross. Let’s discuss. Miles Sanders is the top running back in this draft based on this model. 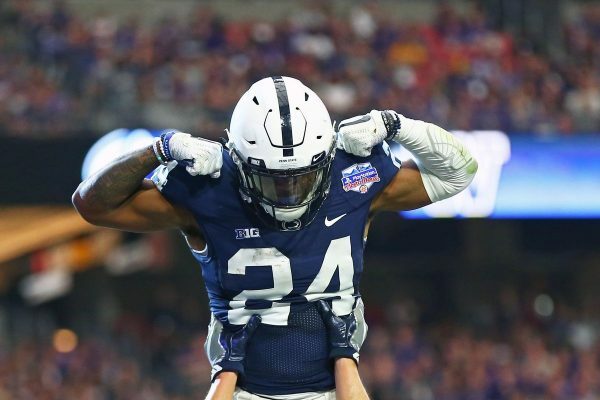 He checked every athleticism metric when compared to the historical top 24 producers and his college production metrics can be explained away because his teammate, Saquon Barkley, checked every metric he had a score in and is rightfully considered the best running back prospect and pro in nearly a decade. Taylor Smith said it best: Miles Sanders is the Number One running back in the Draft. Alex Barnes also checked 4 out of 6 boxes in the model. He may have been flying under the radar early in the draft process but after he won the combine Barnes was squarely in the sights of keen dynasty players. He failed to hit the model’s thresholds for Speed Score, and College Target Share. However, he did display one of this class’s best Burst Scores (128.5), finishing well above average of the historical 24 running backs threshold. If he is drafted on a team where first year opportunity is remotely possible I want him on my dynasty team. I’m not sure how you evaluate prospects but any time Adrian Peterson and Saquon Barkley show up on the list I’m comparing a prospect to I’m pretty interested in that prospect. Armstead is a running back that if given any semblance of draft capital should sky rocket up dynasty rookie draft boards. James ” Boobie” Williams is a satellite back extraordinaire, evidenced by an exceptional 11.3% College Target Share (81st percentile). He also profiles as above average, when compared top the historical top 24, in both Agility Score (11.26) and Burst Score (121.1). It is also important to note that as he did not take part in the bench press drills at the combine, thus he does not have a SPARQ-x Score, This means that he could easily check 4 boxes as opposed to 3 depending upon how many time he can lift 225-pounds. Overall, Williams could find similar success as fellow satellite backs who previously finished as top 24 running backs in James White and Theo Riddick. While Myles Gaskin finishes high in this model I am somewhat dubious of his ability to one day finish as a top 24 running back. He finished above average in comparison to the historical top-24 in overall athleticism, evidenced by a 119.6 SPARQ-x Score (73rd percentile), 119.4 Burst Score (53rd percentile), and 33.5-percent College Dominator Rating (77th percentile). His SPARQ-x Score is mostly a product of his stellar 24 reps on the Bench Press at the combine as his other athletic metrics are average at best. The only trait he has going for him is his 33.5-percent College Dominator Rating (77-percentile). While college production is important, it is interesting to note that only 4.8-percent of the historical top 24 measured above average in comparison to their top 24 peers in only this metric while checking no other boxes. Therefore, I think Gaskins faces long odds in cracking the top-24 despite finishing well in this model. Dexter Williams is a player I haven’t heard much about this draft season and when you look at his Player Profiler page it is a little hard to understand why. He has an elite Burst Score (126.2, 85th percentile) coupled with an above average 11.16 Agility Score (76th percentile) and he dominated the backfield during his time at Notre Dame. The glaring issue in this profile is his 1.5-percent College Target Share (5th percentile). Fact is if he profiles as a Bilal Powell that can’t catch I’ll have no interest in making him a part of my dynasty roster. However, this could also come down to how he was utilized in Notre Dame’s offense as there are a handful of running backs within the historical top-24 who have a similar College Target Share that certainly displayed the ability to catch the ball at the NFL level including Frank Gore and Rashad Jennings. A prospects profile is always a work in progress. There are some things that we are still waiting to confirm from various pro days and there are some things that we may never know. For example, Justice Hill, Darrell Henderson, and Tony Pollard finished above average in comparison to the historical top-24 in 2 categories. All three backs are missing an Agility Score and SPARQ-x Score in the PlayerProfiler database because they failed to test in the required drills. We may never know what their scores will be but if we have a hunch they would run these drills well, these are players that should interest you come rookie draft time. Justice Hill seems like a player who could check all the boxes if he performed in the agility drills based off the adjacent athletic metrics in his profile. In addition to these players, running backs such as Bryce Love, Rodney Anderson, and Ty Johnson checked zero boxes. However, the PlayerProfiler database contains no athletic metrics for these players. 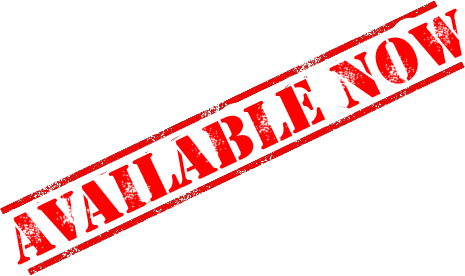 In Love and Anderson’s case, they have not tested athletically. In Ty Johnson case, the database is waiting for confirmed pro day times. That being said you should account for how we think these players would test come actual draft time. Overall, this running back class does not compare favorably with running backs who finished as fantasy starters in previous seasons. Only six running backs in the 2019 class display advanced metrics similar to the average of the historical top 24 running backs in the Player Profiler database. More importantly there are clearly no elite level prospects. The narrative on #DraftTwitter is confirmed. In general, stay away from this rookie running back class in your upcoming dynasty rookie drafts.